Summer just began and the heat… Let’s just say it is not holding back. We’re in for more hot days than we’d like to admit. It’s enough to make you want to stay indoors with the A/C cranked up until that grueling sun goes down. It may be easy to binge-watch Netflix all summer, but that can get tiring day after day. You don’t have to dread that long summer heat any longer by taking a look at this list that will get you off your couch and keep you entertained as well as active. Not melting is a huge plus too. Let’s get into some summer fun! 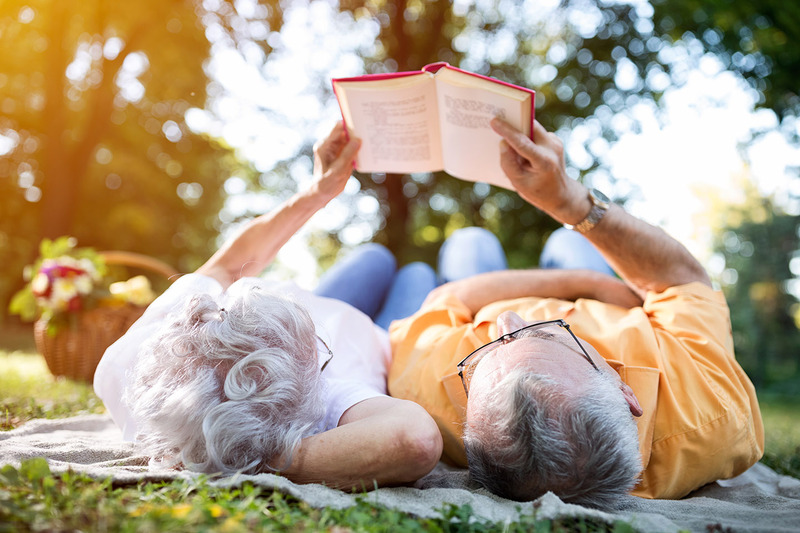 READ A BOOK: Reading a book or two is a great way to spend your summer! We have plenty of books that will keep you entertained for hours at Bookmans. Whether you’re looking for an adventure book to feel like you’re on an excursion in the Amazon rainforest or you’re looking for a mystery that’s Sherlock Holmes-style to keep your mind sharp, we’ve got you covered! Not sure what you want to read? Find an employee-recommended book at your local bookstore. Get a gym membership: Many of us like to use the great outdoors to go hiking, biking, and running. Doing any of those things during the day in the summer is almost impossible. A gym may not be the most scenic place to be, but it helps you get active. It also gets you in the best physical condition for fall, winter, and spring outdoor challenges. Gyms also have group fitness classes that offer much more than the typical workout. Think Zumba, yoga, pilates, and extreme fit training. Take a dance class: Dancing is a creative way to learn a new skill, burn calories, and have fun. It’s something that anyone can learn and is an awesome life skill to have under your belt. Whether you want to learn how to slow dance or favor more exotic moves like samba, tango, or salsa, there are plenty of dance studios around AZ. They’ll also get you out of the heat and into that sweet air conditioning. Go to a rock climbing gym: Rock climbing can also be an activity that you do inside! Find your local climbing gym and climb your heart away for the day. They may even have a membership deal so that you can climb for the whole summer. Have a friendly craft: Pinterest could be your best friend this summer. It’s so easy to find a creative activity for all your friends to do together. With pretty much any craft you can think, find one with step-by-step instructions so you can all follow along. And heck yeah, crafting with friends is just much more fun! Buy a coloring book: Coloring isn’t just for kids anymore. Coloring is proven to relieve stress and serve as a form of meditation. It’s a perfect way to relax and you’ll have a beautiful piece of artwork afterward! We have loads of coloring books at all our Bookmans locations that range from intricate mandalas to simpler Disney designs. Write a letter: When is the last time you wrote a letter just because you could? Write a letter to a family member or friend catching up. Have an indoor picnic: Set up a little nook around your house, the picnic blanket, and set the mood. Make sure the TV is off and you invite a few people over to enjoy your off-beat picnic! Attend a poetry slam: Go to your local coffee shop and see if they have any weekly or monthly poetry slams going on. Listen and learn the flow of things, maybe for the first time. You can decide whether it’s for you and if you want to return. Even if poetry slams aren’t your thing, it may fill you with the courage to do your own public performance. It’s also a great way to get out and meet people who love writing. Take a nap: You may call it lazy, but sleeping is essential to stay healthy and happy. If you’re feeling drowsy from that inevitable summer heat taking a nap is one of the best things you can do! Bookmans is also the ideal place to find fun FREE activities to do. From book clubs to Summer Kids Events, we have fun for the whole family! Don’t let summer pass you by when there’s an enormous amount of creative ways to keep yourself entertained none of which involve sitting in front of a screen. Happy summer everyone!